The Bangkok International Motor Show opens on the Friday 29th March, and runs through to 8th April this year. Held in the large BITEC exposition halls (Km 1 Bangna-Trat highway), this is the world’s accredited motor show for this region. In fact, it is the largest motor show in SE Asia and is approved by the Organization Internationale des Constructeurs d’Automobiles. Unified Germany will be very well represented by DaimlerChrysler which will premiere the RHD version of the Benz CL500, and BMW which will have the new X5 and the X3 for the SUV fans, and the new Mini which has just been released as well. 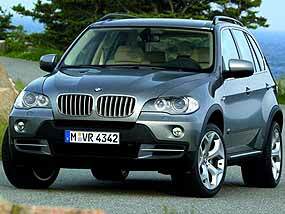 I was speaking with Dr. Wit, BMW’s media man, before the show and he was telling me that the new X5 has a 4.7 litre engine variant, costing 8.6 million baht. Obviously BeeEmm are looking at the Porsche Cayenne market, and the entry price is certainly much cheaper than the equivalent Porsches. The Japanese invasion will continue with concept cars and luxury numbers from Toyota and Lexus as well as cheap and cheerful items as the new Toyota Vios, plus some interesting models from Honda who will not be outdone by the Toyota people across the street! For many people, there is great interest in the Europeans who are trying to gain footing in this country, such as Volkswagen, Audi, Skoda, Peugeot and Citroen. As well as all the cars, there will be many motorcycles on display in their own exposition hall, and After-Market equipment in both go-faster items and sound systems. Last year 1.6 million people went through the turnstiles for our Bangkok Motor Show. This year there will be more. There is parking in the BITEC grounds as well as parking areas on LaSalle Street for another 4,000 vehicles. If you are coming by public transport, then go to On Nut Skytrain terminal and catch one of the 10 shuttle buses going to BITEC. I will be there for the first two days, and will have my resident motorcycle scribe to review the two wheel offerings. More reports on the show over the next few weeks. Last week I asked what famous racing driver was married to Charly? Clue: He was faster in the wet at the 1929 Tourist Trophy than all other drivers in the dry. The answer was one of the all-time greats in motor racing, Rudolf Caracciola. His wife was called “Charly”, not “Charlie”. So to this week. I’ve asked this one before, but nobody got it right. Where did the name Aston Martin come from? For sale, small car manufacturing business. Has only had 13 changes of ownership. Most of these because of bankruptcy, insolvency or perpetual loss-making. Doesn’t sound like a sound investment? I would have to agree, but as you read above, FoMoCo got paid $848 million for Aston Martin. This deal did not see AM returning to British hands either, no matter what you read. The money (and that’s the important part) came from Kuwait and Egypt. Here’s how AM has done financially since 1913. In 1920 it had to be propped up with funds from Count Louis Zborowski. In 1924 the company went bankrupt and was bought by Lady Charnwood, who put her son John Benson on the board. In 1925, it failed again and the factory closed in 1926, with founder Lionel Martin leaving. Later that year, a number of rich investors, including Lady Charnwood, took control of the company and renamed it Aston Martin Motors. In 1932, financial problems reappeared and the company was rescued by L. Prideaux Brune who funded it for the following year before passing the company on to Sir Arthur Sutherland. During the war years aircraft components were made, and then in 1947, David Brown Limited bought the company under the leadership of managing director Sir David Brown. David Brown also acquired Lagonda that year, and both companies shared resources and workshops. Students of trivia will note that the number plate on press photographs of Aston Martins is AML (Aston Martin Lagonda). In 1972, it was sold to a Birmingham-based consortium, owned by William Willson, (MBE), and resold in 1975 to North American businessmen Peter Sprague and George Minden. The Americans sold the company to CH Industrial, who themselves turned the company over in 1983 to Automotive Investments who, in 1984 sold the company to Peter Livanos and company chairman Victor Gauntlett. In 1987, the Ford Motor Company purchased 75 percent of the company, later gaining full ownership in 1993, after buying Victor Gauntlett’s shares and placing it in the Premier Automotive Group. 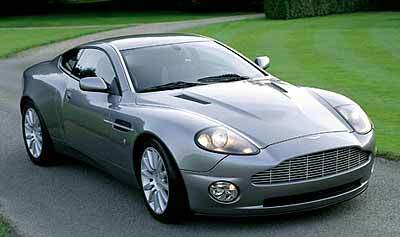 Now, in 2007, Aston Martin is effectively owned by Middle East Kuwaiti investments. Lionel Martin would probably be more than faintly amused. His company name still exists, but at what total cost? Ford Motor Co. sold the Aston Martin luxury sports car brand to a consortium of investors in a deal valued at $925 million (479 million pounds). However, Ford is keeping a share of Aston Martin valued at $77 million (40 million pounds) and will hold a separate class of stock in the independent company. Ford will get $848 million from the sale. The investors are led by David Richards, chairman of Prodrive, a U.K. auto engineering and motor sports company, the man who was also the guiding force behind BAR Honda F1, until there was a fall-out between them. The investor group includes Investment Dar and Adeem Investment Co, both of Kuwait, and an investment bank from Egypt. Richards said he would be actively involved in the running of Aston Martin, which will not be connected with Prodrive. Bez said Aston Martin was a cottage industry when he became CEO in 2000 and built only 800 cars that year. Last year, Aston Martin built 7,010 cars. Aston Martin launched its latest sports car, a convertible version of its V8 Vantage, on March 13. Bez also said Aston Martin had increased its world dealer numbers to 125 from 60 last year. Ford will continue to supply engines for Aston Martin from its plant in Cologne, Germany. Richards said his new Formula One racing team will not be branded Aston Martin but Prodrive will continue to support Aston Martin’s sports car racing activities. In the good old days of motor cars, you ordered your chassis and power train from the manufacturer, and then went to a specialized ‘carossier’ for the body. I have driven a 1951 Ferrari 195 Inter, whose body was fabricated by Ghia-Aigle in Switzerland, hand beaten from aluminium sheet over specially sawn off tree stumps. This shows extremely high levels of craftsmanship, and spectacularly low levels of technology! Fifty-four years later, Henrik Fisker and Bernard Koehler, two former colleagues at BMW, have founded Fisker Coachbuild, LLC to recreate those golden days, but this time applying the latest Hi-Tech manufacturing methods, rather than hammers and tree trunks. However, it still will require a leap of faith by the purchasing public, though if the interest shown at the recent Frankfurt Motor Show is anything to go by, the leap will not be too high, provided your wallet is thick enough to allow for a cushioned landing. Fisker Coachbuild presented the Latigo CS coupe and Tramonto roadster, both dramatically styled vehicles, based upon the 6-Series BMW and the Mercedes-Benz SL55 AMG respectively, for which prospective owners in the US will have to be prepared to pay close to quarter of a million US dollars. A hefty impost over the cost of the ‘run of the mill’ models at $70,000 and $123,000. 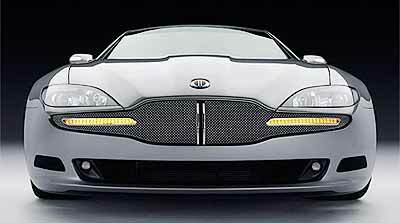 Fisker Coachbuild has gone to great pains to divorce themselves from the add-on aftermarket. There are plenty of parts already available that allow a 6-Series or an SL owner to customize their vehicle, but Fisker’s focus on hand-finishing makes it clear these aren’t a bunch of aftermarket bolt-ons. “We know we have to be leaner, faster, and higher quality than anyone else. Otherwise, we don’t have a place in this business,” Fisker said. To start with, Fisker Coachbuild makes extensive use of digital design and engineering software. In particular, Fisker says that his firm has come up with technology that makes the development process incredibly fast. On average, he believes the firm will be able to go from concept to production in just seven months. Though Fisker likens the company to a classic carrosier, there are some distinct differences. Most notably, they are not producing one-off designs. They intend to build limited batches, typically no more than 150 of any particular design, with the goal to roll out two new designs annually, and produce each product for no more than a year. And they are not using tree stumps! If you really want to spend money! Received an email from Galal Ebrahim of Alain es-motors, www.es-motors.com in Dubai, offering me some secondhand bargains in the supercar bracket. Here you are, and if you buy one, a small kick-back under the table would be appreciated. Porsche Carrera GT 2006 model. Tachometer: 4000 km, sales price: euro 279,000. Plus another Porsche Carrera GT 2006 model. Tachometer: 3500 km, sales price: euro 317,000. If Sir would like something completely different, then there is a Pagani Zonda F Coupe Clubsport 7.3, 2006 model with 650 km on the tacho for a mere euro 465,000, and another one with everything and 900 km on the clock for euro 490,000. But if you are after the ultimate buzz, there’s a couple of Bugatti Veyrons, one with 600 km and the other with delivery mileage only. 1.2 million euro for the used one and 1.3 million euro for the new one. I would imagine that they don’t appreciate tyre kickers!